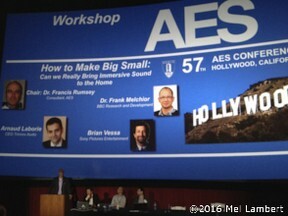 Participants during the “How to Make Big Small” workshop addressed way to generate and transport material to consumer audiences. 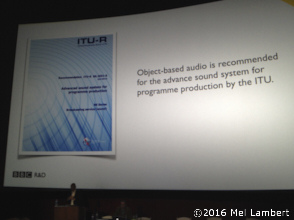 Conference co-chair Brian McCarty stressed that immersive audio formats need careful crafting to maintain the director’s creative intent. 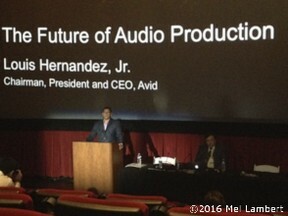 Hernandez also focused on Cloud-based delivery and cooperative file-sharing aspects of his company’s media-production ecosystem, centered on Avid MediaCentral Platform. 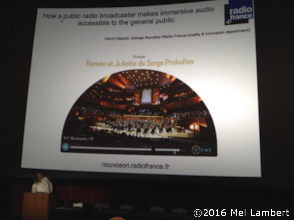 Session panelist Nuno Fonseca demonstrated the creative opportunities offered by an innovative system that can be used to develop object-based immersive soundtracks. 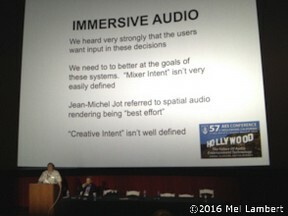 During “Cinema Immersive Audio Delivery Standards,” chaired by Brian Vessa from Sony Pictures Entertainment, and chairman of the SMPTE Technical Committee 25CSS, examined the interoperability and standardization of immersive sound systems for digital cinema.